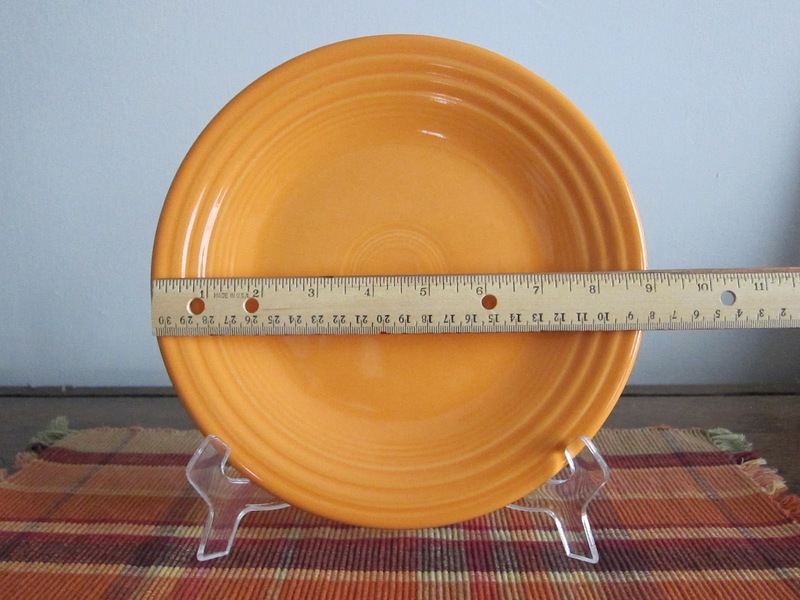 The 9 inch plate: How Big is Your Plate? "92% is how much food the average adult eats from his or her plate during a meal, according to a new Cornell University study. In other words, if you plate it, you'll eat it. So whatever you plate, make it great." My first reaction was that adults only ate 92% of what was on their plate? That would imply that the "clean plate club" concept has gone the way of the dinosaur. I am surprised about that and also that 8 percent of the food is in the garbage. Okay, I suppose people may save it for leftovers. The yellow plate is a 9 inch plate. The other plate is 13 inches. When Silent Sam was first diagnosed, there was a lot of information thrown at us. The suggestion to switch to a 9 inch plate was one of the only suggestions I remembered. Everything seemed so complicated. 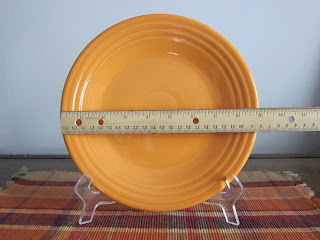 Besides, I might have a bit of a shopping bug and it seemed like a mandate to buy new plates. We have used 9 inch plates for years now and I don't think anything about it now. There is plenty of food on a 9 inch plate. The switch to a 9 inch plate is not a magic pill. It did not stop us from overeating. I wish just switching to a smaller plate had done that. But I am sure it has helped. The magazine also reported on another study from Cornell. In this study they looked a people's eating while they watched movies. They found that people watching comedies ate less than people watching heavier themed movies. Sad movies also cause more eating. 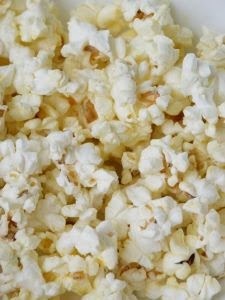 So the healthy snack you pick when watching a move should depend on the type of movie. The heavier the movie the lighter the snack. Labels: food eaten by adult during meal, How much do American's eat of what they take, Size of dinner plate, the 9 inch plate, What kind of movies cause you to eat more?